Element Electronics is one of the newest television manufactures to enter the marketplace, having produced its first television set in 2006. Customers are rightly apprehensive when it comes to buying a television manufactured by the company, as their reputation is hardly proven. After all, it’s easy for a television to survive six years — but what about twenty? For those interested in the low prices offered on most Element television sets, it’s largely a gamble and experiment as to how well the product will hold up, and how durable it will prove to be. But there are some pretty strong clues as to just how well the company’s products can be expiated to perform going forward. 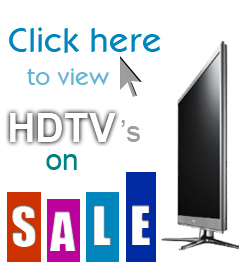 Searching for a specific Element TV review? There’s no getting around it: Element is a low-end, discount television manufacturer. Their primary customer is one who is both extremely budget-conscious and extremely discerning. For this reason, the company has been partnered with JBL, a highly-regarded manufacturer of high-end audio equipment, virtually since its inception. This allows Element to offer televisions that sound as good as they look, and convince new customers that they won’t be sacrificing quality for affordability. And, indeed, Element has received numerous positive reviews from both customers and industry professionals since it began manufacturing its television sets in Detroit, Michigan, in 2006. Both groups of people love the company’s entry-level pricing and commitment to quality, as well as the fact that Element is one of the few electronics companies which manufactures its products domestically, in hard-hit Michigan. Its commitment to quality, and to American buyers, has contributed to its rise among other, competing low-end brands. Most customers tend to associate a lower price with worse product quality, but that is not entirely true with the HDTV sets produced by Element. Instead, the company has made a name for itself by providing high-quality television sets at some of the lowest prices anywhere in the home entertainment industry. Customers have, time and again, reviewed the company’s television sets in glowing terms. The display panels used in the company’s sets are second to none, and industry professionals love that these sets do not use the same cheap plastic and shoddy construction as competing generic brands. When it comes to pricing, Element is competitive with every other major manufacturer of generic home entertainment brands. Often, the company is the leader on price in this market segment. That makes them a hit wit budget-conscious consumers who need a new television but simply cannot afford to pay top dollar for a new set. It also makes them a top choice among early adopters who are looking to see if new technologies — such as LED-LCD sets — are worth all the hype before they spend the big bucks on a major brand. Because the sets are as durable as they are affordable, their high value is essentially inherent. But contributing to their value is the fact that these sets are actually manufactured domestically, in Detroit, Michigan, by American workers. It’s hard to find anything that’s still manufactured by American workers, much less a consumer electronics item that is competitive with major overseas brands and even bigger-named competitors. That should make any buyer feel good about their purchase, and it will add value to the set for many Americans who are proud to support their fellow man. Unfortunately, the company is not exactly easy to contact. Their customer service options are largely limited to those available online on the company’s website. That’s fine for more advanced users, or those who simply never have a major problem, but other issues may require some intense digging. The company does offer a warranty on all of its televisions, and operates a warranty hotline, but that phone number cannot be used for basic technical and operational questions. While Element’s product quality is good, and none of the company’s sets are considered low-quality or short-lasting, it would be nice for the company to commit fully to its customers using a traditional, toll-free hotline for any issues they might have. The support section of the company’s website does offer software updates, user manuals, and an area that elaborates on frequently asked questions. For basic concerns or questions, it will certainly suffice. As Element becomes more successful, it will hopefully flesh out its customer service options more fully. Purchasing an Element HDTV isn’t as much of a gamble as one might think: the company’s television are manufactured domestically, they’re reviewed highly, and they’ve so far been quite durable and long-lasting. The only area where customer should exercise caution is when considering the small size and scope of the company’s customer support resources. This may present problems for those who are not well-versed in the TV’s functions, or those who have a rare problem with their television set. their TV’s in the U.S., let alone Detroit, Mi. Way to go Element. We all need to buy more American made products. They are better made and well worth the price. This TV is better than the way more expensive brands. Keep up the great work, Element! Was with a friend of mine when he bought one of those “Made in USA” Element tv’s, but the box that his came in very distinctly says “Made in China”. It doesn’t say “Assembled in the USA” but only “Made in China”. Maybe this should have been expected since it was purchased at WalMart! > Amen! I’m buying a 46″ or 55″ Element at Target on Sat. Yes! American Made….. This is awesome…I look at all labels from Food, clothing, etc. I buy American.. I recently purchased the 40in LCD and I find the picture quality to be top shelf along with the audio. Hard to believe a tv this well made was only $350.00 and wasn’t put on display in the store I purchased it from. I have hooked up the Wii and an HD cable box and the picture seems just as crisp if not a little clearer them my 50in Plasma. With American made quality like this I encourage everyone to take a minute before buying another over seas made product. Where can you purchase these American made TVs? I have been looking everywhere! > Target sells these tvs and have free tech support. > i’ve had one since 2010 and it still works its a 24in that i use in my kitchen, im buying another one for my bedroom, we also used to use it for hd gaming on the ps3 before it was in the kitchen, it is perfect for gaming. WE PURCHASED AN ELEMENT FLX 3711B IN DECEMBER OF 2008. IT HAS BEEN PLAYED NIGHTLY, APPROXIMATELY 6 HOURS EACH NIGHT FOR ABOUT 3 YEARS. A MONTH AGO, IT STARTED GOING BLACK WITH NO SOUND. AT FIRST WE COULD TURN IT OFF, THEN BACK ON AND IT WOULD BE OK. LAST WEEK IT WENT OFF AND WHEN WE TRIED TO TURN IT BACK ON IT FLASED THE POWER BUTTON ON AND OFF REPEATEDLY SEVERAL TIMES, THEN WENT OFF COMPLETELY. ANY IDEA AS TO WHAT IS WRONG WITH THIS TV? IS THIS AN EASY FIX FOR SOMEONE WHO IS MECHANICALLY INCLINED OR WILL A PROFESSIONAL TV REPAIRMAN HAVE TO FIX? I’m an technician, sounds like a power supply issue, easy fix, very common for ALL these flat panel sets, I can’t see it coasting more than $100, All the bigger brands have similar probs. > Sorry but you will need to have it professionally repaired. Your problem sounds as though your power supply might have gone out. I am unfamiliar with elements tv’s and don’t know if the power supply is on a separate board or on the mother board which is the case for many products. I would get in touch with the manufacturer in Detroit by calling their warranty hotline even if it is out of warranty. > @Terry, I don’t have an Element TV (yet), but all brand TV’s pretty much do the same thing when there’s a problem. Generally the flashing light is telling you an error code. Count the number of flashes. Note that the code will repeat, so look for the pattern. You would then either have to check your manual, company website or search for codes. One thing many people overlook on electronics is cleaning them. Over time, especially in dusty areas, dust congeals in the cabinet. I’d take the TV outside and use a shop vac or similar and reverse the airflow so that the vacuum blows and blow out the dust through the TV’s air holes. Dust can cause electronics to overheat and shut down and even arc. Chances are though that the circuit board is experiencing and error and needs to be replaced. Generally it’s cheaper to replace the TV because the repair cost is almost equal to a new TV. Honestly if you get 5 years out of an electronic device that’s pretty good. I’ve never bought an electronic device with the expectation of it lasting 20 years. > I am looking at buying an element for my bedroom (upgrade) and using it fir my Xbox 360 it will travel with me for Xbox game nights….I am reluctant to buy a brand I know little about…I have had my Toshiba for about 6 years and the bulb has only gone out once! I hope this purchase is a good one. > my brother just repaired all the capacitors in our element tv ELCHW261, not sure if you have the same prob we did. Picture and sound would take FOREVER to come on and it finally did. Once all capacitors are replaced it worked great. There is a epidemic of bad capacitors in many tv’s that are causing this delay and once capacitors are replaced it has fixed three of our tvs – three diff makes of tvs. It is not hard to do if you know someone capable of doing this, just takes a little time. Capacitors are about 80cents each, guessing you will want to replace all of them, approx 12-15 total. I do not have an Element TV yet. I just saw the report on the NBC news and am glad to see and hear of a company finally bringing business back to America. We need more to get on the band wagon. I am one of those people who always look for products that are manufactured in the USA and as such shopping for me is very diffacult. I am not in need of a T.V at this moment but when I buy my next one I will deffinatly look for an element (the reveiws I’ve read are very encourging). I love my Element TV, It is better than the other one I have. I am pleased that it is made here in the USA. I read the above review about another customer not happy, but I would bet if she called the manufacturer it would be taken care of. My next TV will be another Element. yes. Though I admire the company bringing jobs back to the US, be careful about waving the flag when buying an Element set…they are “assembled” in the USA, not “made” in the USA. All components and parts come from offshore. I hear they are working towards it, but they’re not quite there yet. Was just watching the news, I am a buyer for US products and wish there were more. My next TV will be an Element. I wish your company the best. We the United States needs to start manufacturing here in our country and have better quality. Just imagine!!!! We could replace all our foreign stuff. :) 🙂 🙂 What’s good for the American workers is good for everyone!!! Sorry to be the downer, I am generally a very positive person. We bought my mother a 22″ television by Element 2 years ago for her Birthday and it has now died. This was not even her main television and was not on everyday. Now she can not even find a way to contact the company (its as though they are avoiding any contact info). The web site is very unhelpful and there is not even a way to email the company?? I have searched Google for an address so she can see if there is anything they will do. I am very unhappy and disappointed in this American product so far. > I was looking at the eleft405 (40 inch LED/LCD tv) at Target for $340.99 and thought I’d better research it before purchasing as I had never heard of Element. Glad I did! The eleft405 is listed in any way shape or form on the Element web site. Given the reviews here, I’d say at least some are employees of Element. Some are real and quite a few simply got lucky. Assembled in the US means nothing is the quality is crap. So far, my “crap” meter is running off the scale on Element. Too hard to contact and vague/missing info on the company web site. I would avoid these at all costs until they clean up their act. Omg, they are cheap sorry but buy another one for her.. for god sakes..
Tech support is available at techsupport@proview.net and customerservice@proview.net —this is what I got from calling their (Eement’s) 1-888-238-8123 customer service number. I have an Element TV model FLX-2211B given to me by my daughter. It was manufactured in Sept 2008 and the company’s website recommends buying a newer model. I see why. It stopped working 3 days ago. No red light, no blue light, total black screen. When it did work, it was no prize. The remote control had an annoying delay before anything happened and script could suddenly appear on the screen, blocking the view. The company’s support staff, a lone man answering with his name and a foreign accent, advised me to take it to a repair shop. Buy Element? Don’t think so. Even a bad TV should last more than 3 and a half years. And if it’s a lemon, other options should be available. When my husband and I puchased our 55″ lcd tv in Nov 2010 we agreed that it was the deal of the century! I also agree that it was welcoming to hear that the products are made in America but right away we begin to regret our decision and discovered glitch after glitch. First it was the volume.There is really not much of a range, it goes from mid range to extremely loud.Then the picture quality was not so great so we got an hd box. Just recently the picture keeps going out.When we turn the tv off and back on the picture comes back on for 10-15 mins then goes back out. We called the customer service number but were informed the warranty is only good for one year. Soooo disapointed! Thinking that had had a great deal on at 55″ TV, it goes downhill from there. After 97 days the TV dark colors go red! When I called the Customer Service number 888 338-5666 number for help for your in-home service that is a bigger joke, there was no one coming. They have you change out the cables to test, but not tech shows to see what the problem is. I spent many hours being on hold waiting for help with my in-home service. When asked to take the TV back to Target, Target employees called the same number. After three weeks of trying to get help only to find out that I have to spend an additional $47 dollars for a box, $135 for shipping to return it to Clara 734-418-9589. Still waiting on hold for 32 minutes before told that we have gone home for the day, and I still do not know when a refurbished TV will be ship to me. This is a very bad buy. A long time ago I learned the old adage ‘you get what you pay for’ wasn’t always accurate. That’s why when one of my coworkers at Dish recommended the Element brand, I was intrigued. I’m actually looking for a TV as a gift. I found out my parents finally took my advice and set-up HD Free for Life through Dish. So I want to make sure they have a TV that will actually take advantage of all the great high definition programming, they’ll love having an American made device too. Thanks everyone! I just purchsed my Element TV from WalMart. On Sale for $298! 40″ 1080p and the sound (after I tweaked it via sound and equalizer) is awsome. I can see why JBL is poartnered with them. The Pix is awsome. Good purchase. I have the Element ELEFC-401 LED TV. It worked pretty well for 62 days until the screen went blue, no picture, but great sound. Element said return it to Costco,but Costco said it was over the 90 day warranty. Costco helped contact Element who took a credit card deposit for a new set that is yet to arrive after one week. I am on the $40 hook to return the defective set once I get the new one. Be warned you do not get any warranty information from the Costco or Element web sites, Guess Why! As for customer service and satisfaction as per the Element web site, It says, Coming Soon. Their so right! Enjoy the JBL sound. Brought an element 32 flat screen in 2009 started having problems in 2012. When I attempted to press on button with remote the screen would show element logo and then would go black and cut off. No amount of pressing would bring it back on. All attempts at locating and contacting manufacture were futile. Took it to repair shop and paid $170.00 for repair lasted all of a month then started cutting off again. I will never purchase or recommend this or any other products from the element electronics manufactures. All consumers please beware these products are not worth your hard earned money! They are worthless! Go element!!!!!! just picked up a 32 in and a 40 in. So far the manufacturing quality is awesome and very comparable with that of the big name manufacturers. The sound quality is as good if not better than my Sony. Im a union worker and all for products made in the USA.great job element I look forward to buying more of ur products. More people should be geared to buying products made in our own country. Purchased an Element TV, it’s 4 years old and stopped working all of a sudden when we changed cabel companies. It will not turn on after being turned off the light flashes blue and red just like the previous person said before. We have tried everything to get it back working. Will not purchase again and I am praying that my other Element tv doesn’t do the same. Pissed! My husband and I purchased a 50″ LCD HDTV by Element recently. Couldn’t be happier with it. Picture quality is great…sound is fantastic… And the color quality superb! Our Element was made in May 2008 and only used during the summer months (wer’e snow birds). So the other day, my mother started using a head set since she is hard of hearing. Now we only get sound when the head set is in. No sound when the head set is out. The cable company came out to look at it, but they seem to think it is the TV, as do I. Anyone else have this problem? I have had an element tv for about a year. It worked fine, never had any problems. The picture and sound were good. One night it just went black without warning. Lights flashed for about fifteen minutes as I tried to turn it back on but now it is completely dead. The only advice I can get from any one is have it repaired myself. I know it wasn’t an expensive tv but it should last more then a year. Won’t be buying one of these before after the spontaneous failure of the first. I have the 46″ HDTV by Element and I am now on tv number three. The tv has a great picture but has a problem with the programming. I will be sending this one back because it is worse than the other two. When you program the channels it loses them later, punch in a channel to go directly to that channel it will go to a different channel, and the new one will lose the picture but still have sound. I do not recommend buying this tv unless you want to keep sending it back until the warranty expires.